"Duty-free" refers to items that can be purchased at designated stores when crossing national borders, either at land and sea crossings or at airports. The items sold at duty-free stores are free of taxes and duties and thus generally much cheaper than at regular stores. Duty-free items are for "export only" and must be taken out of the country where purchased. Duty-free shops offer deals on items that usually carry heavy duties and taxes. For example, visitors may save up to 50 percent on liquor and tobacco. Other popular items include perfume, watches, jewelry, accessories, candy, travel-related items, and gifts. Many duty-free shops also have food courts, travel centers, business services, including faxes, telephones, photocopiers and telecommunication ports for laptop computers. 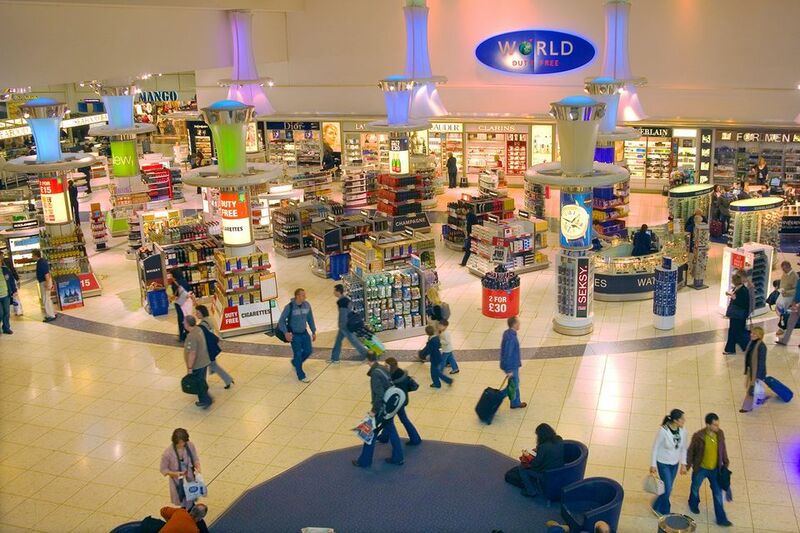 Duty-free savings is generally not as good at airport duty-free shops, especially at some of the bigger airports where rent fees are high, so fewer savings are passed on to the consumer. The best deals are at the land crossings. 1.5 liters of wine, or 1.14 liters (40 ounces) of liquor, or 24 x 355 milliliters (12 ounces) cans or bottles (8.5 liters) of beer or ale. Americans may bring up to $60 in gifts per recipient, excluding alcohol and tobacco. Any purchases in excess of the $200 allowance may be subject to duties and taxes. U.S. citizens may buy these amounts daily. Purchases may include 1 liter of alcohol, 200 cigarettes (1 carton), and 100 cigars. Family members may combine their tax and duty allowances. Any purchases in excess of the $800 allowance may be subject to duties and taxes. U.S. citizens may buy these amounts once a month. If you exceed your duty-free allowances and exemptions entering the U.S. the following approximate US duty and tax rates may apply. *U.S. duty rates on purchases exceeding 1 liter of alcohol are assessed according to alcohol content. Liquor, including spirits, wine, and beer, in Canada is significantly more expensive than in the United States, so Americans going to Canada for a visit may want to stop at duty-free for liquor that they will consume while in Canada. Spirits, like vodka, gin, and whiskey see to offer the best bargains. Wine—not so much.